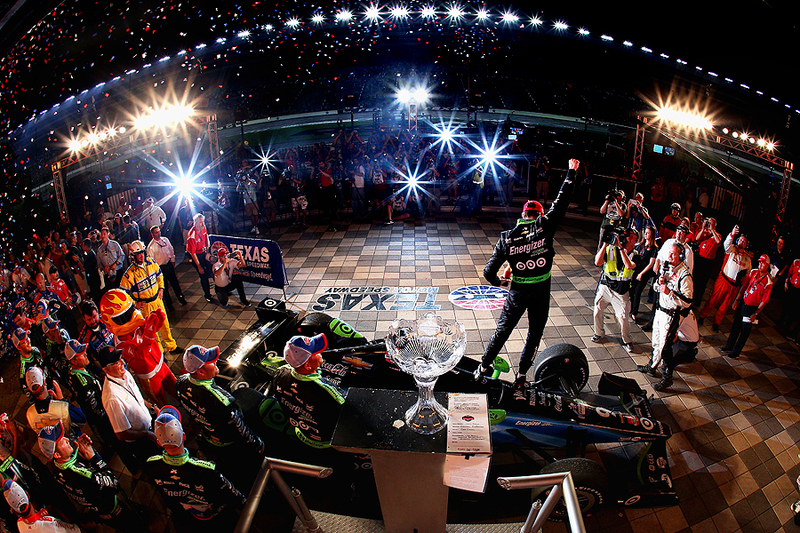 "Scott Dixon of New Zealand, driver of the #9 Energizer Chevrolet, celebrates in Victory Lane after winning the Verizon IndyCar Series Firestone 600 at Texas Motor Speedway on June 6, 2015 in Fort Worth, Texas." Whenever I hear IndyCar, I automatically think of famous Indianapolis 500. So when I got the opportunity to join the Getty Images team for the weekend in Texas for the IndyCar Series Firestone 600 - I was beyond excited. At Texas Motor Speedway, we documented three days of action. A new style of racing, I enjoyed every second at a track I love. Open-wheeled racing isn't anything I've ever documented - and it's always a great feeling to capture a something fresh. There is nothing like race cars screaming past at more than 200mph, and there is nothing like feeling an athlete's energy and joy after winning a big race.